Equity investors are able to hedge certain risks involved in their portfolios through different arrangements of call and put options. Various strategies use spreads which involve the purchase and sale of options with either different exercise prices or expiration dates. 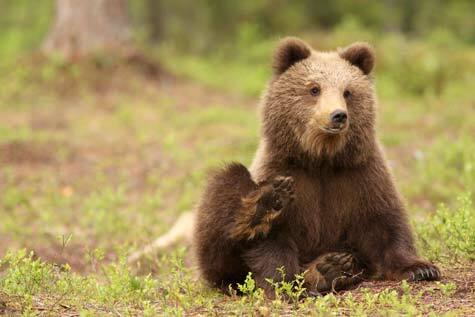 One particular type of spread is a bear spread, a strategy which profits from decreases in a particular stock's value. This article introduces the option strategy of bear spreads, how they are created, and how investors profit from their designs. Time spreads and money spreads comprise the two different types of spread strategies. Strategies with options having different expiration dates are considered time spreads while those using options having different exercise prices are called money spreads. Bear spreads are a type of money spread which involves the purchase of one option with a given expiration and exercise price and the sale of another option with the same expiration but different exercise price. Bear spreads are an option strategy that involves selling a put with a lower exercise price and buying a put with a higher exercise price. They can also be created by selling a call with a lower exercise price and purchasing a call with a higher exercise price; however, this article will follow the former method using puts. As their name suggests, bear spreads capitalize on bear or decreasing value markets. Consequently, this equity investment strategy has a negative value if the price of a particular stock decreases. The chart below illustrates the profit profiles for a bear spread's two components, a short put with a $35 strike price and a long put with a $40 exercise price. These exercise prices could be anything as long as the short put has a lower strike price than the long put. By combining the long and short puts, the profit profile for a bear spread can be shown. In the example below, the bear spread profits once the stock's price decreases below the $40 point. Because each of the puts has different strike prices, their demanded premiums vary. The investor sells the put with a $35 strike price for $100 and purchases the put with a $40 strike price for $200. The difference between the premiums results in the possibility of negative returns if the stock price increases. However, the lose potential if this movement occurs is limited to $100 by the strategy's design. This also shifts the break-even point so that an investor does not see positive returns until the stock falls below the $39 mark. From that point, the strategy gains value until the stock's price reaches $35. No further profits can be made if the stock falls past $35; therefore, this bear spread has a maximum profit potential of $400. Because investors only realize positive profits from decreases in the underlying stock's price, bear spreads should be used when an investor is relatively confident that the stock's value will fall during the life of the options. Even if the desired movement does not occur, the bear spread's design protects investors from substantial losses which is the key factor for their use. Questions? Comments? Suggestions? Share your thoughts on investment strategies and bear spreads.